Less than three hours from Hyderabad, the district of Karimnagar in Telangana is peppered with numerous lesser-known forts and ancient ruins, making it the ideal day trip destination. Not yet over run with tourists, here you can happily explore at your own pace. 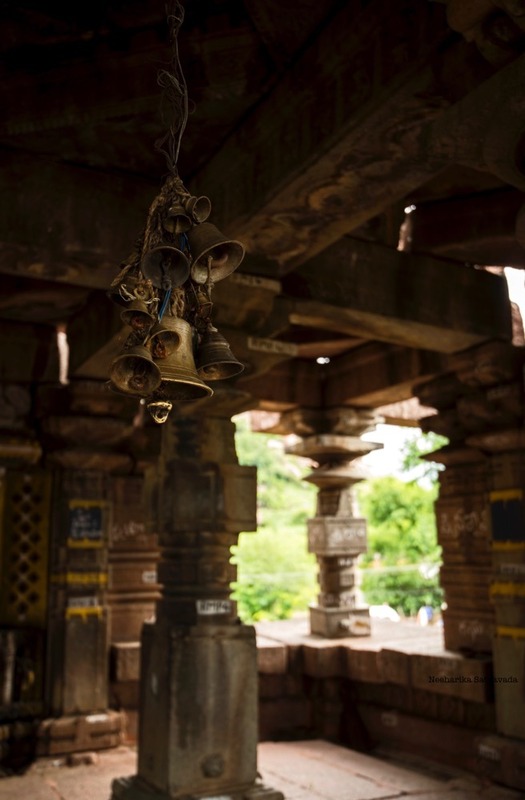 Home to a cluster of Kalyana and Kakatiya temple ruins, Nagunur is one such village in Karimnagar. Once the centre of the Kakatiya Empire, it is today but a tiny village lost in time. With these temples at its heart, it does not take but more than ten minutes to traverse through this entire village! The most significant among these temples – from the 12th century – is the Trikuta Temple built by the Chalukyas of Kalyani. Though constructed in the same style as the Manthani temple, it is in much better shape today, with the three shrines dedicated to Lord Shiva showing evidence of continuing worship. Getting There: Nagunur is 260 kilometers from Hyderabad and the drive via NH44 through Outer Ring Road will take around three and a half hours. Best Time to Visit: Monsoons. With the rain clouds as a backdrop, these ancient temples look serenely beautiful. Enjoyed the story? Subscribe to get our latest, straight in your inbox. Beautiful….looks like a great place to explore & yes would be lovely in the monsoons. Looks cloudy in the pics too! There seems a lot to see around Hyderabad! !